Zimbabwe’s Supreme Court is hearing this week the matter of the wrangle over Anglican Church property in Zimbabwe. The whole week has been set aside for the hearing, and our brothers and sisters in Zimbabwe have set aside this whole week for prayer and fasting. His Grace exhorts his readers and communicants to join them in prayer, for the outcome of this hearing will determine the entire future of the Anglican Church in Zimbabwe. There has been continued harassment of Anglican Church members in the Anglican Diocese of Masvingo since His Grace last reported on these matters. 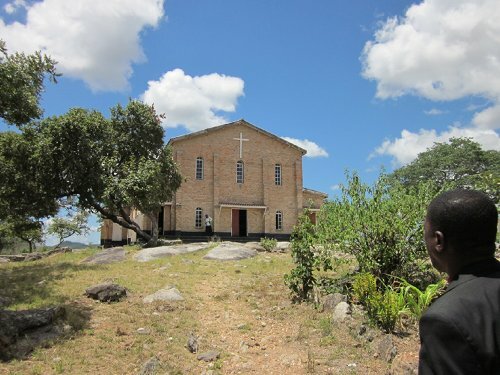 They have been barred from some of their institutions, in particular, Daramombe Mission, and they continue to be evicted from their church buildings in Chivhu rural. The police have ordered that all church buildings in Chivhu belong to Norlbert Kunonga and the legitimate custodians of these properties, the Anglican Diocese of Masvingo in the Church of the Province of Central Africa have been barred from using these buildings. The Anglican Church is clear about the ecclesiastical boundaries of the five Dioceses in Zimbabwe. These were set by the Province at a properly constituted Provincial Synod on 1st September 2001. Ironically, Kunonga was part of this Provincial Synod and was signatory to the formation of the Diocese of Masvingo and its boundaries. All law court judgments are clear that the dispute over church properties is in the Diocese of Harare which ceased to have jurisdiction over Chivhu on 1st September 2001, the date on which the Anglican Diocese of Masvingo ecclesiastically formed. The documents, including the map showing othe Diocesan boundaries, are clear in this regard. What Kunonga is using to hoodwink the police are title deeds which he illegally refused to surrender to the Diocese of Masvingo at its formation. This was a premeditated move to permit him to retain control over Church property. It is disturbing that the police have taken sides. They lead the summary evictions of Church members from their buildings. Since when have the police in the Republic of Zimbabwe been judges and legal experts in matters to do with the Anglican Church? Why are they openly supporting the abuse perpetrated by Nolbert Kunonga? Who is giving them orders to harass members of the Anglican Church and for what reason? An appeal has been made directly to His Excellency President Robert Mugabe, and also to the members of the Government of National Unity, the Co-Ministers of Home Affairs and the Police Commissioner General to intervene in this matter where innocent and peaceable worshippers are being driven out of their church buildings for no legitimate reason. Whatever happened to freedom of Worship in Zimbabwe? This entry was posted on Thursday, October 25th, 2012 at 7:08 am	and is filed under Uncategorized. You can follow any responses to this entry through the RSS 2.0 feed. You can leave a response, or trackback from your own site.